You know that blue “Share” button in Google Apps? Ever wanted to add a feature like that to your own app or API ecosystem? The UMA protocol enables you to do just that. 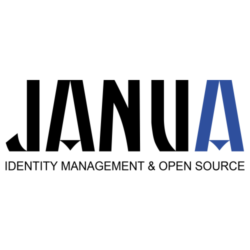 User-Managed Access (UMA) is an OAuth-based protocol that enables an individual to control the authorization of data sharing and service access made by others. The OpenUMA community shares an interest in informing, improving, and extending the development of UMA-compatible open-source software as part of ForgeRock’s Open Identity Stack. Currently no open-source OpenUMA code has yet been published, but keep an eye out in early 2015! UMA defines how resource owners can control protected-resource access by clients operated by arbitrary requesting parties, where the resources reside on any number of resource servers, and where a centralized authorization server governs access based on resource owner policy.UMA can be considered an application of OAuth 2 in that it uses, profiles, and extends OAuth to enable various use cases for resource owner-managed access (the UMA specification calls itself a profile of OAuth 2). UMA’s main flow superficially resembles plain OAuth, and it has embedded subflows that really are instances of ordinary OAuth. While UMA looks OAuth-ish, it functions most like a standardized, API- and scope-aware version of a web access management system — where the policymaker may be an organization as usual, or an individual acting on his or her own behalf. In short, the UMA protocol lets you add interoperable authorization, access control, privacy, and consent features to your application ecosystem.